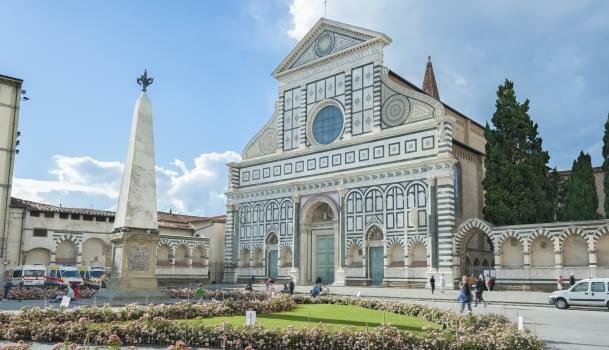 Florence is the birthplace of the Italian Renaissance, and it is filled with dozens of cathedrals, palaces, museums and art galleries, making it a dream come true for art and history lovers. The Uffizi Gallery is known throughout the world for its mind-boggling collection of Renaissance art, and the Duomo towers over the center of town, offering stunning views and stark, beautiful interiors. The city is filled with tourists, too, no matter when you go. If you need some respite from the throngs of visitors and the bustle of the city streets, there’s plenty to explore just outside of Florence. As the capital of Tuscany, it is located in the heart of a beautiful region that is well worth exploring. 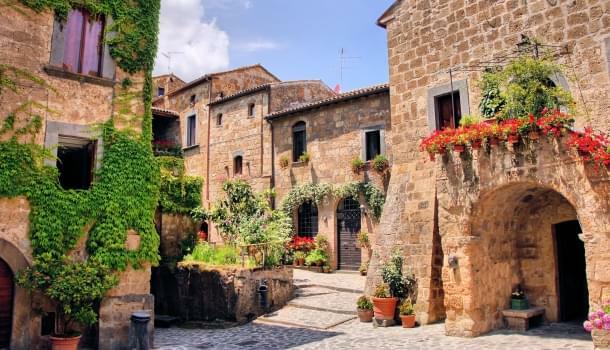 You can take a wine tour in Chianti or Montalcino; enjoy Pinocchio Park in Collodi, a village that seems frozen in time; spend a day at the lovely beach in Marina di Pisa; experience a working farm while staying at an agriturismo; or visit one of the many amazing national parks. 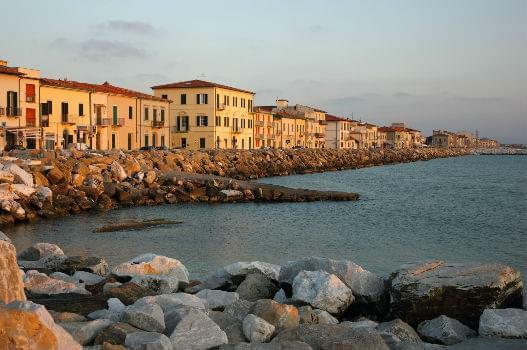 Marina di Pisa sunset view of the town’s waterfront street. Florence Airport, also known as Peretola, is relatively small, but airlines from all three of the major alliances fly there. In general, award availability to Florence from the U.S. is good when using American and United miles, but there are fewer seats available when booking with Delta miles. There are no direct flights from the U.S. If you take British Airways, remember that it levies a substantial fuel surcharge on flights from the U.S. You can save hundreds of dollars flying on American Airlines to London, and then British Airways to Florence. Intra-Europe flights on British Airways have only a small flat fee. At 60,000 miles, economy class award tickets to Florence cost the same using any alliance, unless you fly during American Airlines’ off-peak season, between October 15 and May 15. You’ll save 20,000 AAdvantage miles. If you prefer to fly in a premium cabin, AAdvantage offers the best rates at any time of year, saving you at least 15,000 miles for business class. All three programs offer the ability to book one-way flights for half the price of a round-trip ticket. That allows you to mix and match alliances, depending on availability and the number of miles you have. However, try to avoid booking Delta awards originating in Europe, as they have fuel surcharges. Flying from New York to Florence and back has no substantial fees, but if you fly one way on Delta from Florence to New York, it will cost an extra $300 to $400 in fees.